The offer to operate a franchise with the full support of the management was extended to Focus Point staff, and was met with such overwhelming response that over 70 franchise outlets were launched in just seven years. 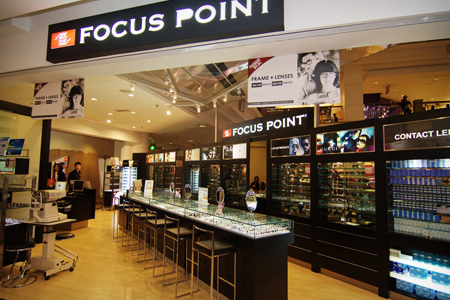 Since then, Focus Point Vision Care Group has won numerous awards for its franchise programme, including the prestigious “Best Homegrown Franchise” title from the Malaysian Franchise Association in 2009. At the same time, we are also embracing a knowledge-based economy where innovation and technology are essential in adding to our value, enhancing our professional services and boosting our overall competitiveness. In the span of twenty years, our annual sales have grown to more than RM100 million. As we look forward to expanding our market, we recognize that in order to create more demand for our products, we must diversify our product range and professional services. And we are ready for that challenge.